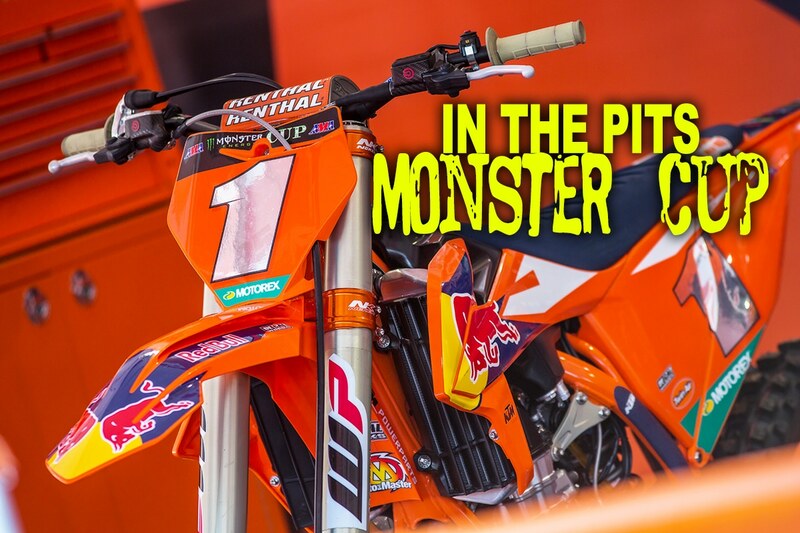 The Junior Supercross by KTM finished off at Monster Energy Cup again this year. 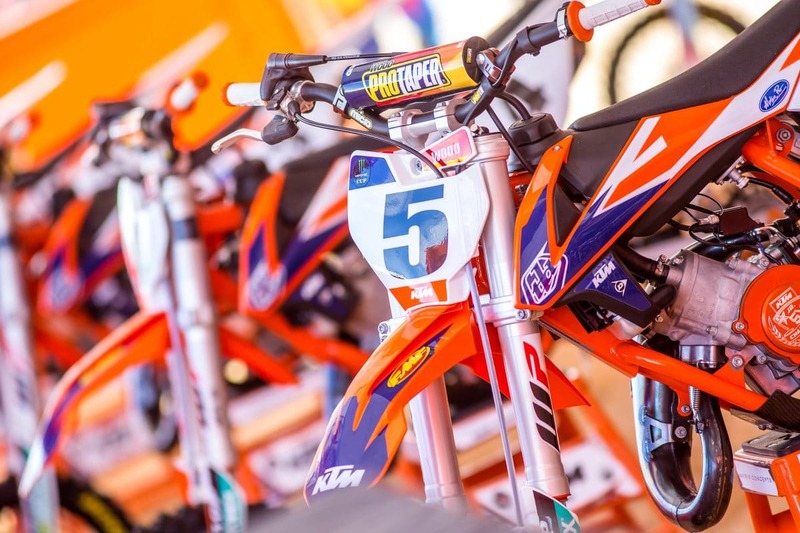 Registration has opened for the 2019 season. 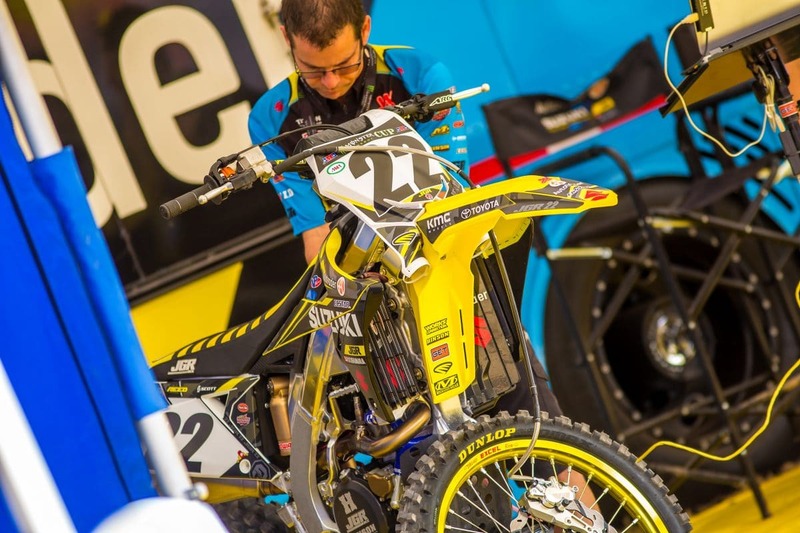 Chad Reed’s JGR Suzuki getting some love from SHOWA in the morning before practice. 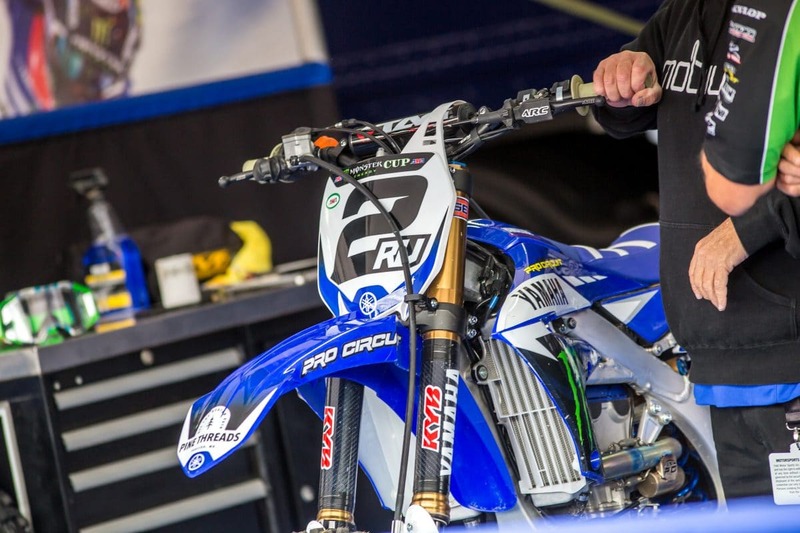 Aaron Plessinger’s Star Racing Yamaha from Motocross Des Nations on display for fans to see. 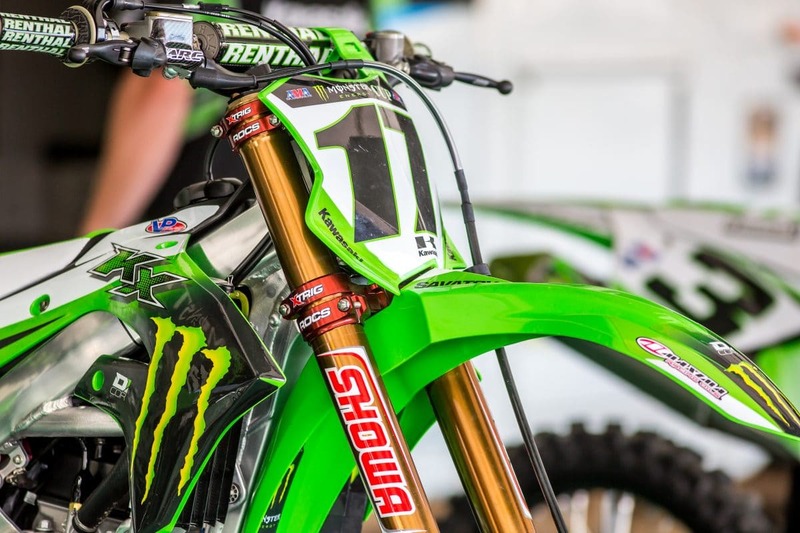 The 450 rookie Joey Savatgy will be under the tent of Monster Energy Kawasaki for the 2019 season. 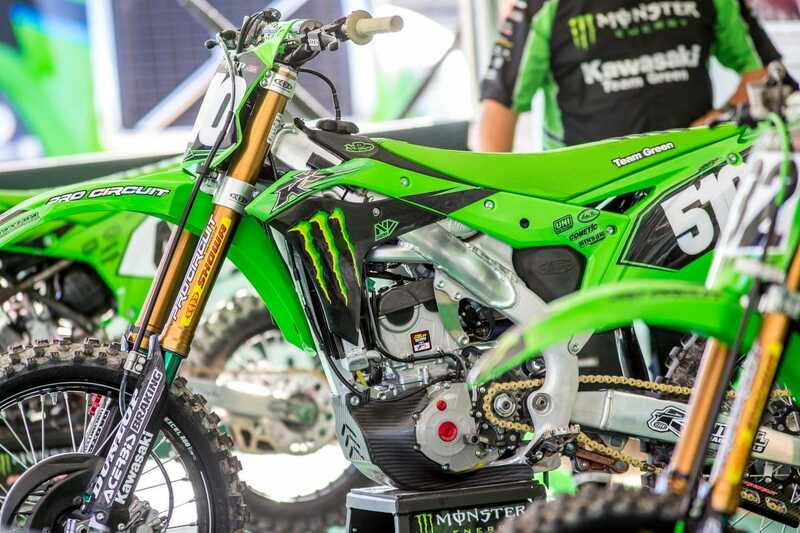 Joey will be able to shake down the race bike at Monster Cup and have something to build off of before Anaheim 1. 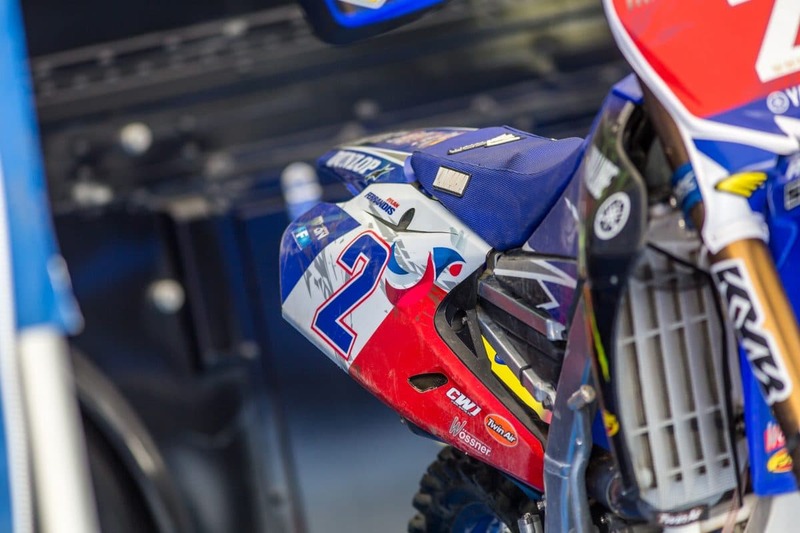 Dylan Ferrandis’s winning Yamaha YZ250F on display under the Star Racing Yamaha banners. 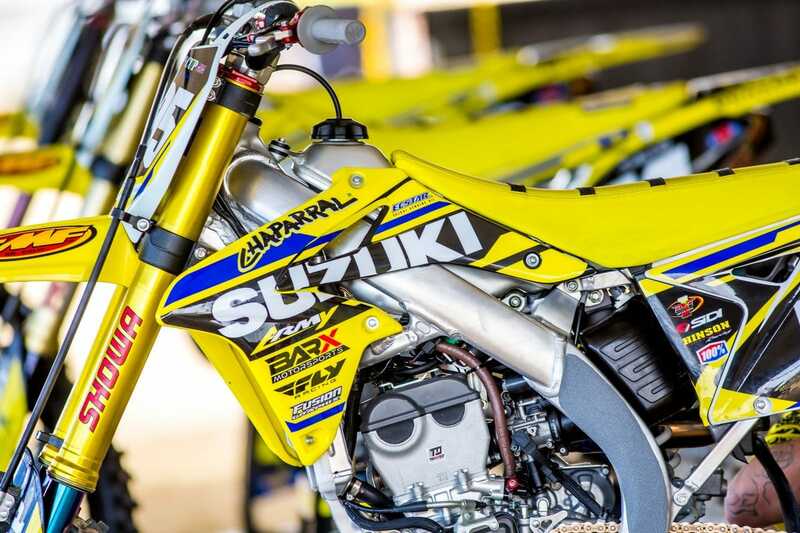 Chaparral/Suzuki/Bar X and Larry Brooks effort fielding several bikes for Monster Cup and Supercross in 2019. 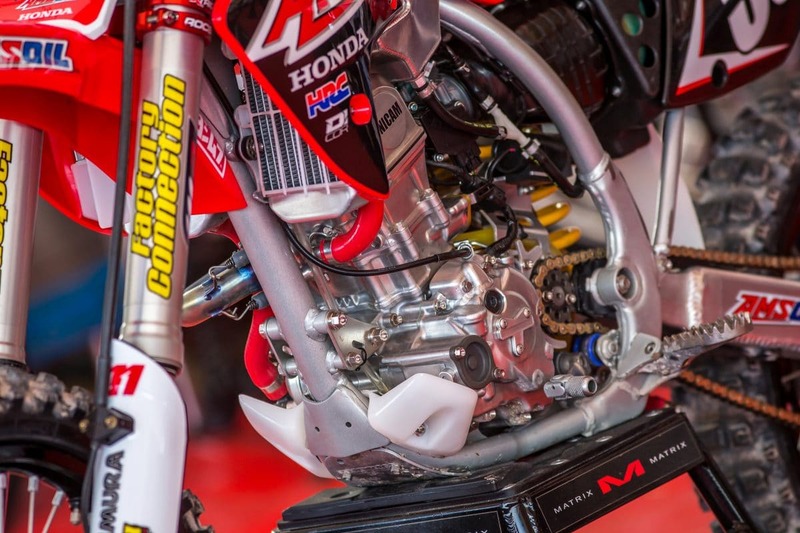 Factory Connection builds an ultra trick CRF15R for Yoder to race. 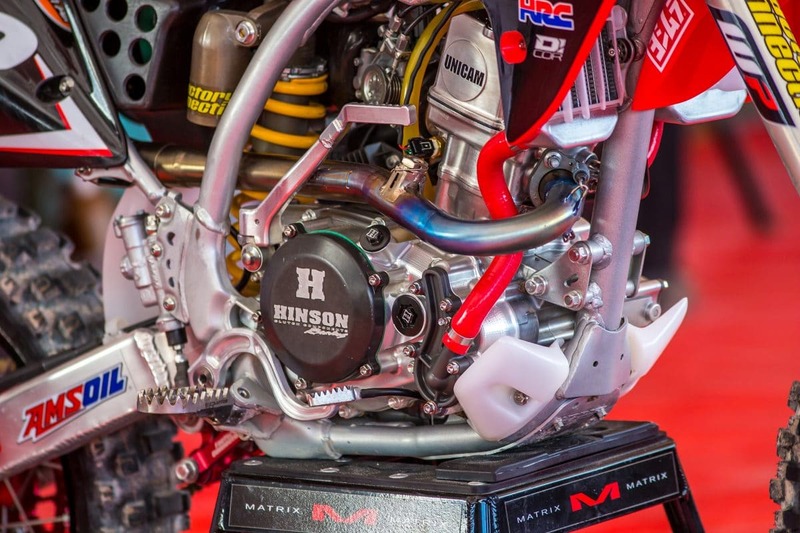 This bike is fuel injected and features a lot of titanium similar to the big bigs. 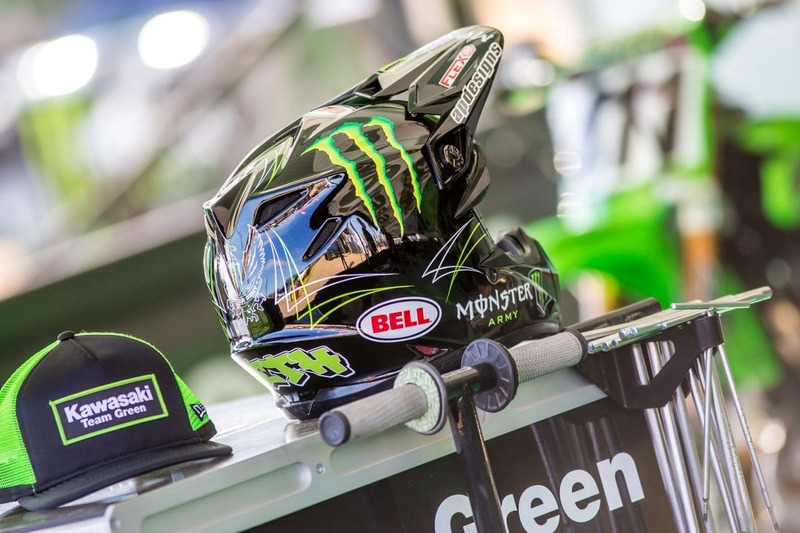 Mid day Friday Ryan Villopoto announced his return from retirement and back to racing for Monster Energy Cup. 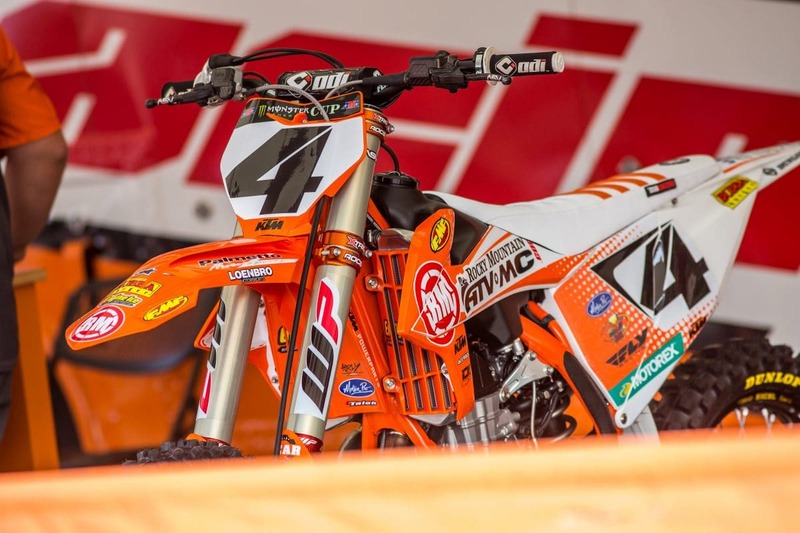 The 4 time 450 Supercross champion could shake things up Saturday night. 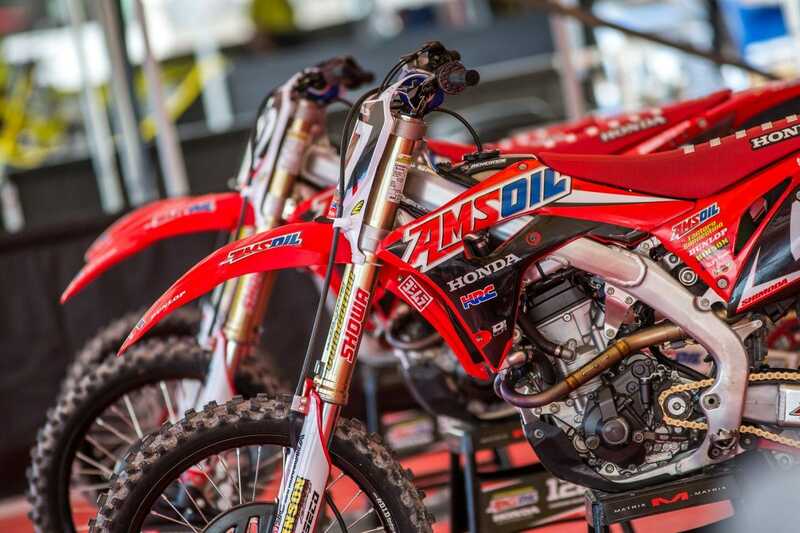 Amsoil/Factory Connection are fielding several riders including Carson Mumford and Josh Shimoda for Monster Cup. 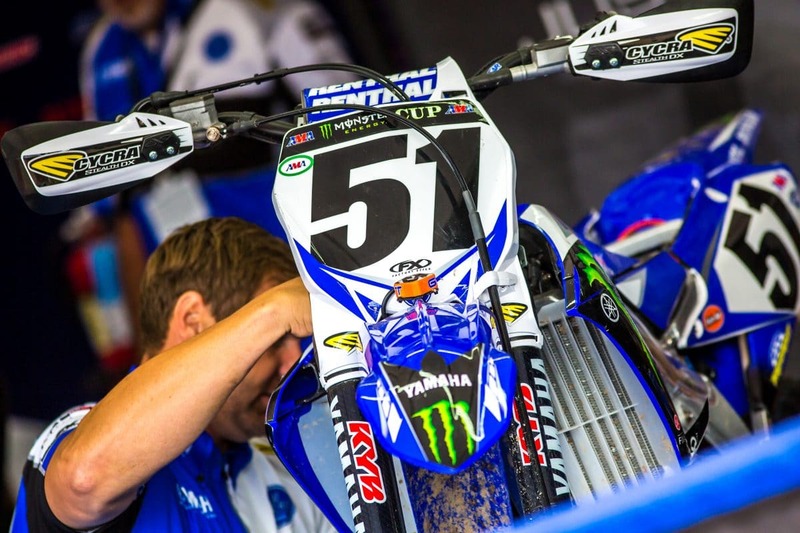 Justin Barcia’s Factory Yamaha YZ450F getting one last look over before practice. 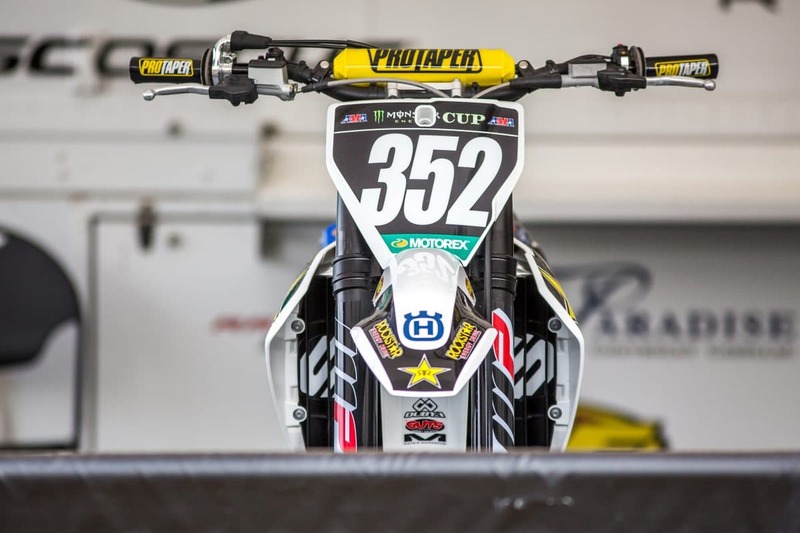 Can Jason Anderson bring his Supercross winning momentum into Las Vegas? 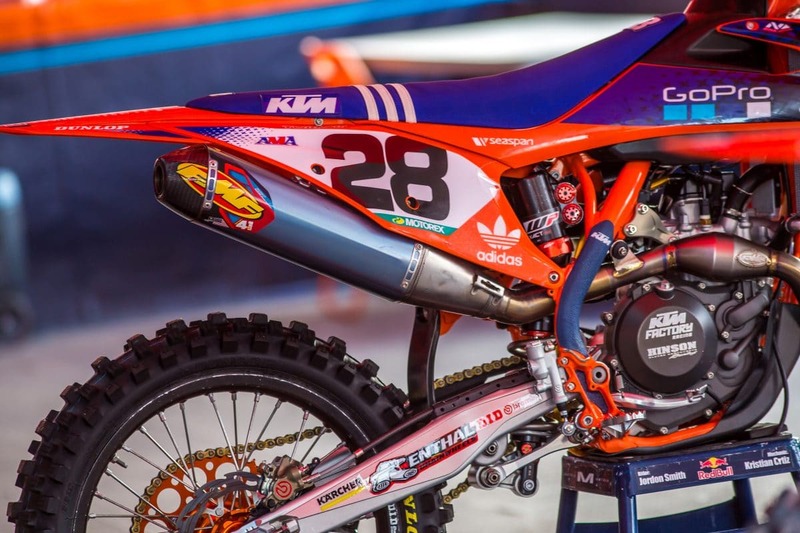 Jalek Swoll’s Husqvarna FC250. 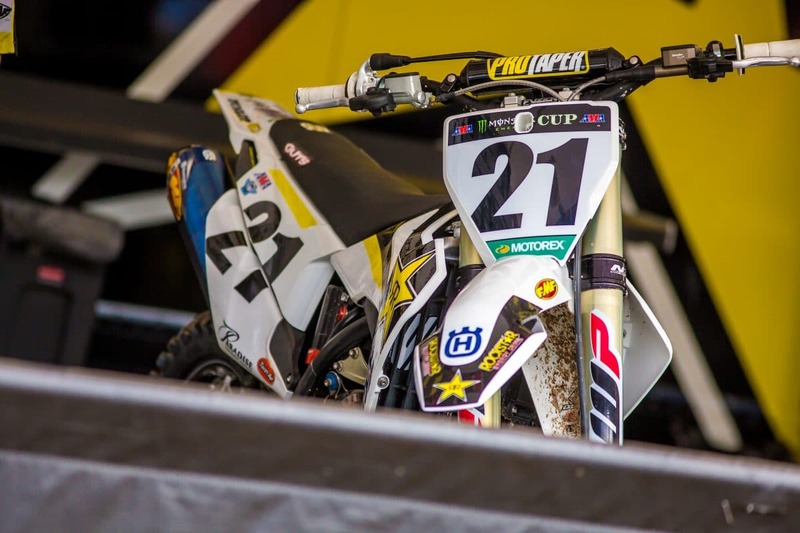 Jalek is one of Husqvarna’s younger talents set to make his pro debut soon. 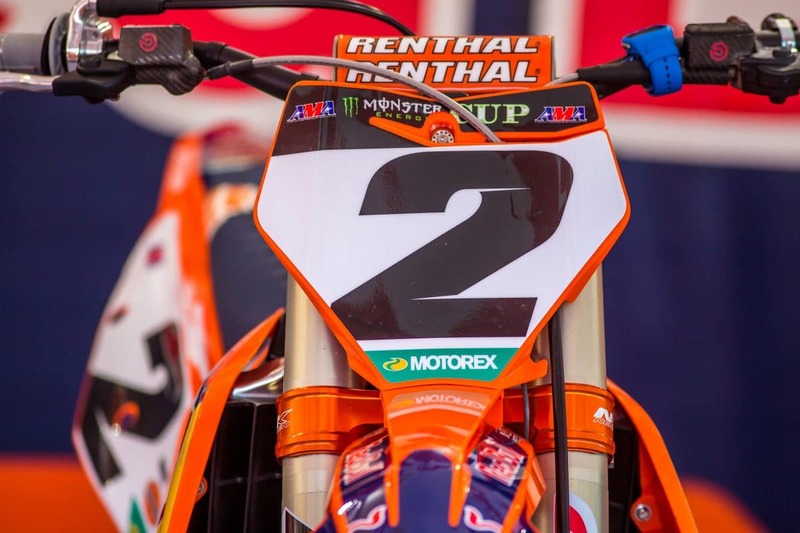 Seat time on a supercross track like Monster Cup gives these kids some early practice for the big show. 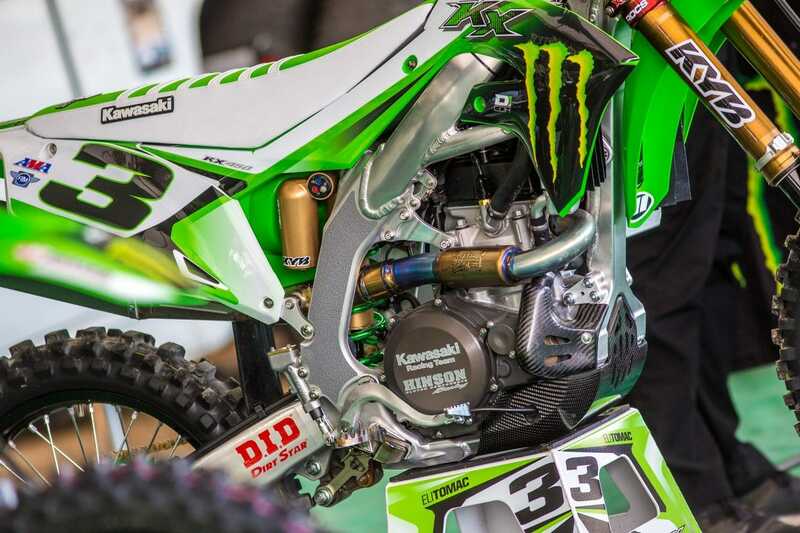 A close up at Tyler Bower’s Factory Kawasaki KX450F. Tyler has been helping Kawasaki test and gather a base setting for the rest of the team. 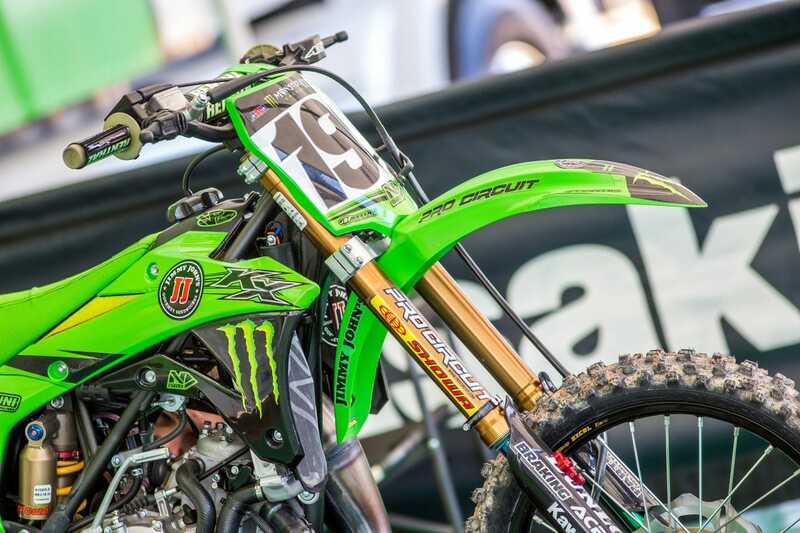 Eli Tomac is always one of the faster riders on the track. 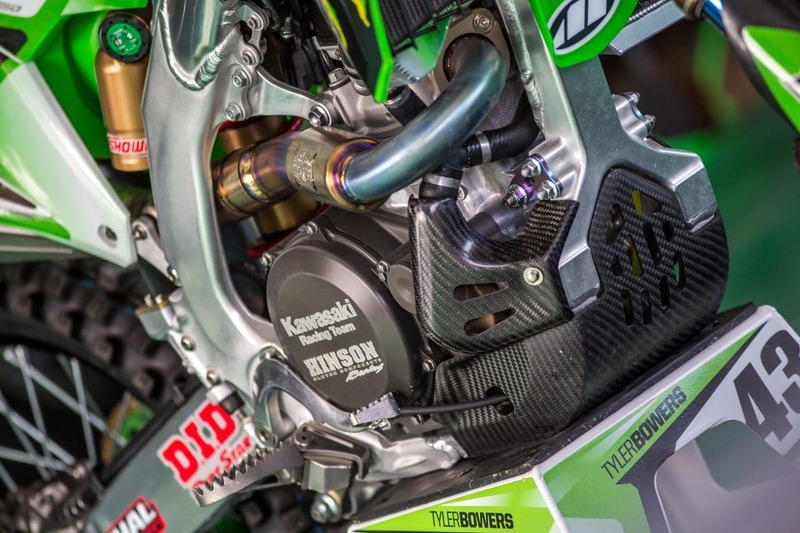 If you look closely you can see some of the data acquisition components Kawasaki runs on their shock. 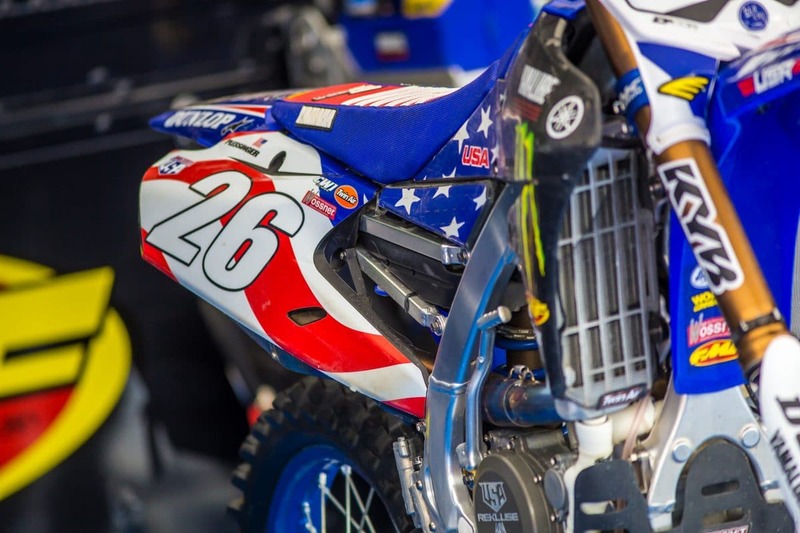 Ryder Difancesco’s Kawasaki Super Mini . 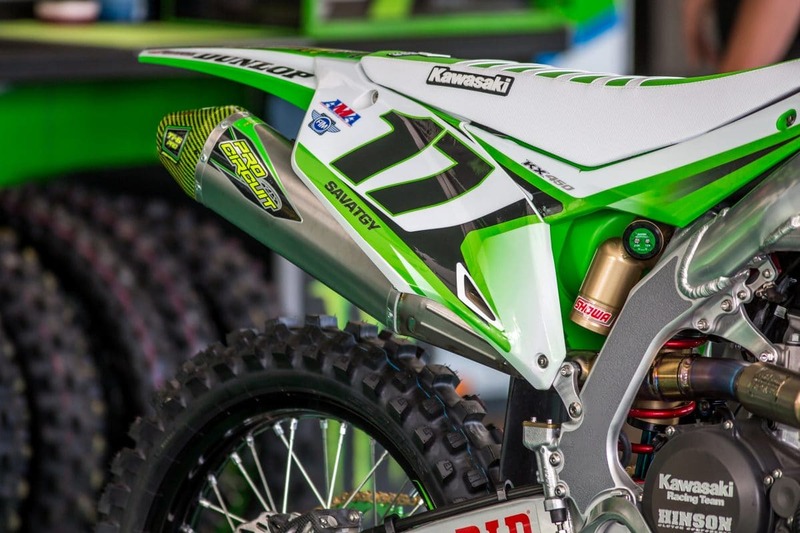 Ryder is one of Kawasaki’s premiere amateur athletes. 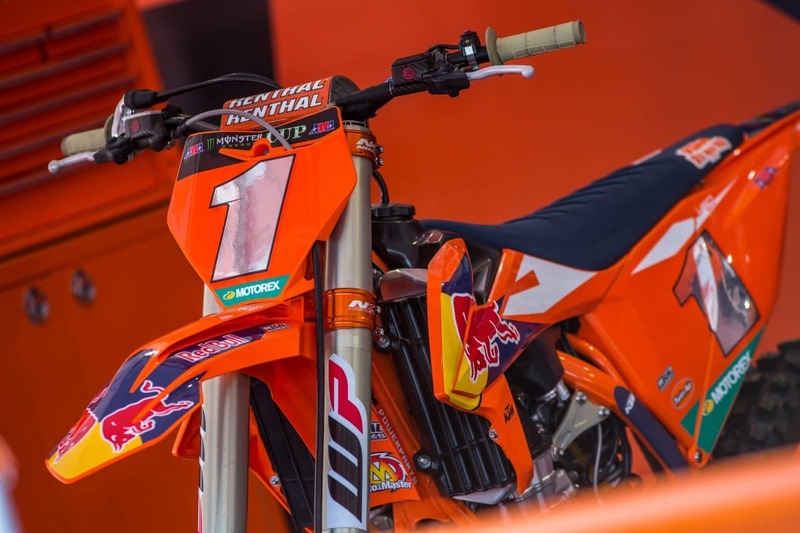 New to KTM for Monster Cup and 2019 is Cooper Webb.